Despite all advances in imaging, X-ray is still the most common imaging used in Australia. The X-ray is used to check bones and chests – looking for breaks, and searching for pneumonia, lung cancer or heart issues. It is still a useful way to diagnose pneumonia, and X-rays are also often used in the practice of orthopaedic surgery. An X-ray works by passing a small amount of radiation through the skin which highlights the bones when the radiation hits them. Bones show up as white in an X-ray, whereas the lungs show up as black. X-rays can clearly show any bone breaks or shadows on the lungs. There is no pain associated with an X-ray and it only takes a few minutes. The radiation dose from an X-ray is quite low – equivalent to the amount of radiation people are exposed to walking around in a normal week. Ultrasound is also a very popular diagnostic tool. Most commonly used in pregnancies to measure foetal size, it is also used to examine blood vessels, gallstones, the heart, muscles and joints, and pelvic organs. Unlike most other forms of imaging, an ultrasound shows ‘real time’ moving pictures, rather than still images. Ultrasound, as its name implies, uses soundwaves which are absorbed by the body as heat. There is no warming effect and an ultrasound has no known harmful effects. There is no pain associated with an ultrasound. Depending on the ultrasound you may be asked to fast or drink some water. Upper abdominal ultrasound scans, such as liver, gall bladder and pancreas, require you to fast for up to 6 hours before hand. Kidney, bladder and prostate gland require a full bladder prior to an ultrasound, and you will be asked to drink 1 litre of water 1 hour before. A full bladder is not required for scrotum and testes scans for men. The other common medical imaging is a CT scan. It stands for computed tomography, and allows the body to be examined in cross sections. Epworth Medical Imaging uses the analogy of looking at slices of bread in a loaf, to explain how it works. The CT scan progresses through the area in micro ‘slices’ to look at both soft tissue and bone. Patients lie on the table which passes through the large circular doughnut-shaped scanner. CT scanning is used in examinations of the brain, spine, chest, abdomen, pelvis and limbs. A CT scan you may require some contrast material to better visualise vessels or internal organs. The next tool in the imaging box is an MRI, which stands for magnetic resonance imaging. An MRI uses a magnetic field and radio waves to take pictures of the inner body. An MRI takes high-resolution pictures of the body organs and soft tissues e.g. blood vessels, brain tissue, discs, ligaments and muscles. Many doctors use an MRI for the purposes of looking at joints and ligaments in sporting injuries, or brain scans and organ scans. In general, there is no special preparation required, except in cases where you may need to fast. You will be asked to remove any jewellery before going into the MRI, as it uses a magnetic field. If you are at all claustrophobic, you may need to alert the technologist. The MRI machine is quite loud, so during the procedure you wear headphones and have a music list to make a selection from. Depending on the size of the area being scanned, it may be as little as 10 minutes or as long as 45 minutes for larger organs such as the liver. An MRI is often a secondary scanning tool, so it is important to bring any previous X-rays of the area if you have them on the day of the MRI. During the MRI, the patient lies still on the machine whilst being scanned. The radiographers will generally provide wedges or cutouts to make it easier to keep the body still during the MRI. Like a CT scan, depending on the procedure it may require an injection of contrast medium called Gadolinium, which will be injected into a vein to improve the detection of abnormalities in the body. Regardless of what type of imaging you are having, it is important to let the reception know if you are pregnant, if you have any metallic devices or implants, or are on any special medication. The staff will be able to explain any preparation required, and will often send out information or point you to information online regarding the imaging to help get the best outcome from the imaging and avoid repeat imaging. It is also good to establish upon arrival whether you wish to wait for the images and reports before you leave, or whether you wish to have these sent directly to the doctor. 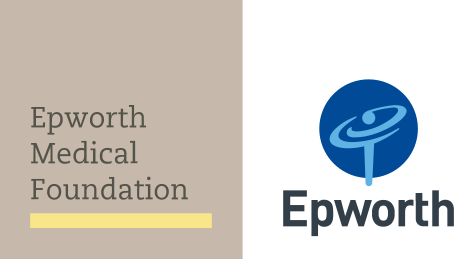 Most medical imaging is now available online, and doctors simply log into Epworth Medical Imaging’s servers to view the reports and the images soon after the tests have been completed.